Did you know that oatmeal is one of the world’s healthiest foods?! It is well known to be rich in fiber, minerals and vitamins. Also, it is easy to digest, great energy source and improves the immune system. That’s why even babies can have it. Ever since I was a little girl oatmeal was my favorite meal for breakfast. It is a healthy meal to have for kids and adults. I was waiting to start giving solids to my baby so I can introduce my favorite breakfast meal to him “Oatmeal with fruits”. Guess what?! He loved it! 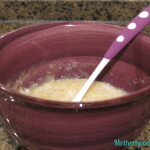 In this post I will be sharing a yummy, easy, simple and super healthy oatmeal recipe for your baby. Of course, you and all your family can have it as well. 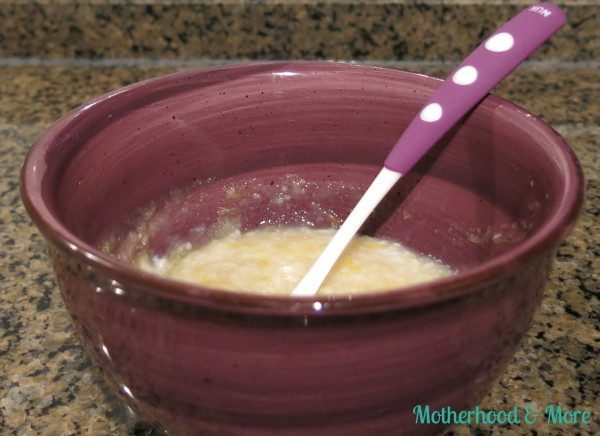 Please leave your comments if your baby liked this recipe and share with us what else do you add to the oatmeal. 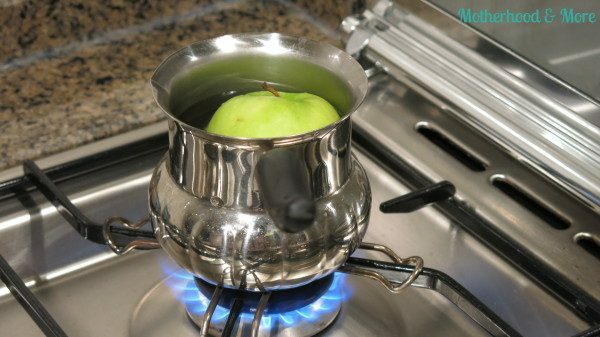 Place the apple in a pan and add a cup and a half of water to boil until really tender (6-8 minutes). Peel the apple then mash it by a hand blender or a food processor. Squeeze the orange and keep the pulp. Cut and mash the banana using a fork. 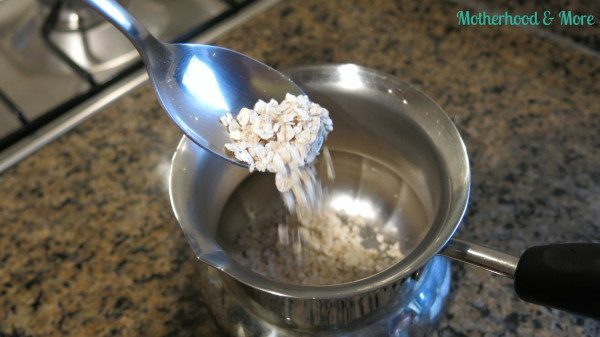 Place the oats and 1/2 cup of water in a pan to boil for couple of minutes while stirring for the desired thickness. Place the oats, orange, banana and apple in a bowl and stir together. Bon apetit!